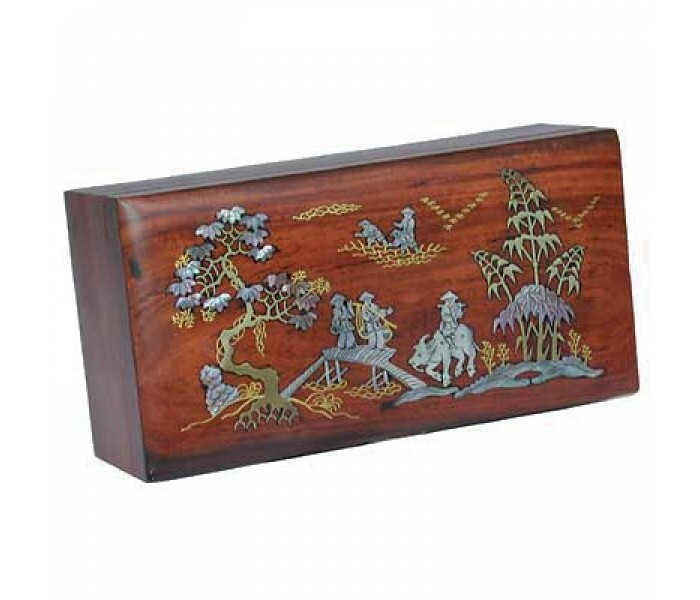 19.5cm Polished Mahogany Box - Village Scenery - Oriental Gifts from Got-Bonsai? Includes mother-of-pearl sections and a village scenery design - 19.5 x 10 x 7cm. There are intricate grain patterns in the highly polished mahogany wood. 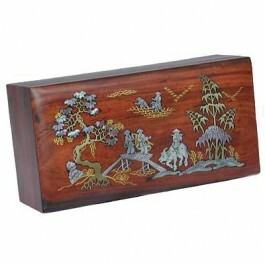 High quality mahogany boxes with a million uses, featuring traditional Chinese designs.